Welcome to the personal web site of Starweaver, Wiccan priest, tarot and astrology practitioner, and dabbler in the visual arts. This site is an expression of my own personality: sometimes focused, sometimes fanciful, always fluid. I hope you find this a place of beauty, wisdom, and warmth. We all have a hand in creating the realities of our own life, and also those of the lives of others. The world, in a sense, is the collaborative creation of all who share it. But how do we learn to become helpful partners in this ongoing creation? And what does it mean to create one's own reality, when we often feel impinged upon by forces and events we do not control? A look at upcoming full Moons and dark Moons in their astrological context, with suggestions for divination and magic to get the most out of your Moon rituals. The rune that bears the name of the divine progenitor of Germanic clans, and its significance in divination and magic. Barack Obama's Birthchart: my astrological take on the new president. My vegetarian interpretation of this hot and flavorful New Mexico classic. 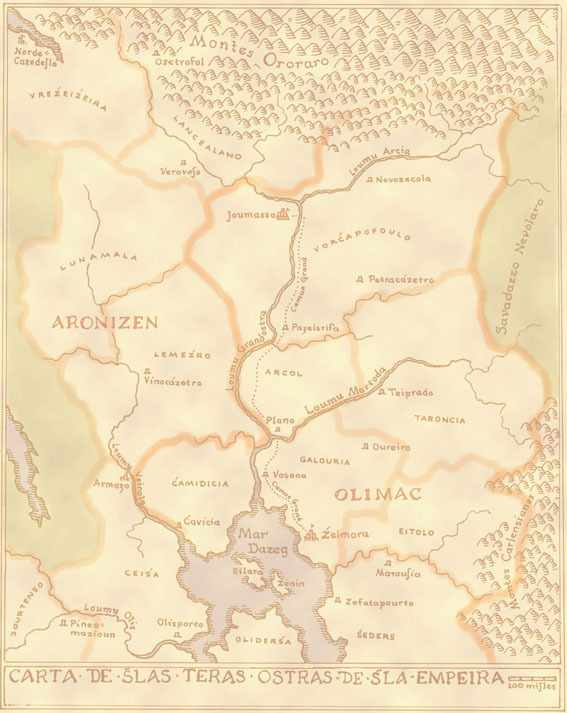 A map and description of the city built high on the slopes of the Mountains of Dawn, on the eastern edge of the Greenhall. This is the setting for the first chapters of my novel in progress, A Wall Against the Morning. If you enjoy the material presented here and would like to be notified of each new issue as it becomes available, you are invited to subscribe to Gems from Earth and Sky. You will receive a short text-only email eight times a year to let you know that a new issue has been posted on this website (no charge). 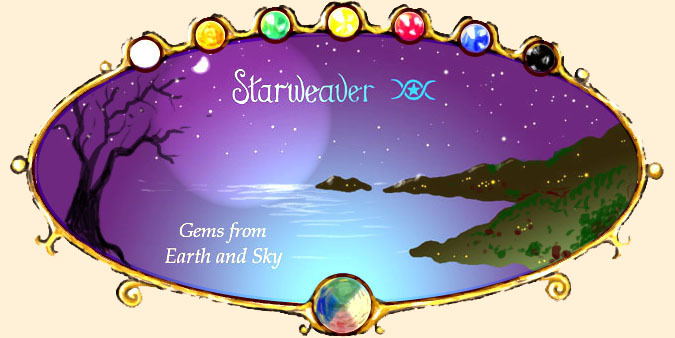 To subscribe, email starweaver at telp dot com. Of course, your contact information will not be shared with anyone. If you intend to read this website regularly, please do sign up for the email notice - it's simple, free, and gives me important information about the level of interest in this project. Thanks!